Admit it, we all know that buying gadgets is part of the appeal of the RV lifestyle. 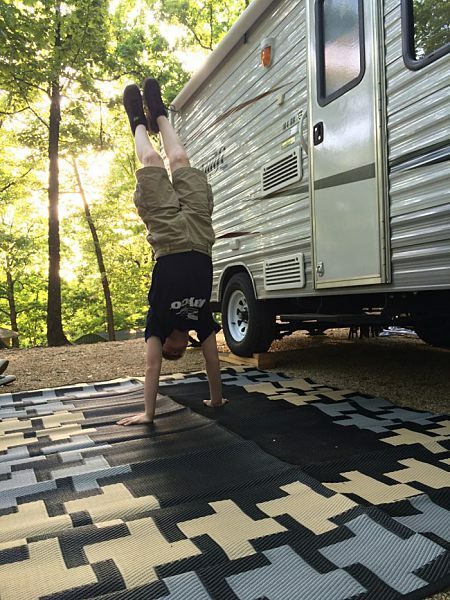 We’ve found a few great things that have made our trailer more fun or functional. RoomMates Dry Erase Peel and Stick USA Map My husband bought me this wall map from Target the first Christmas after we had Birdy, and it was a perfect present! We loved the colors and style, plus it has an erasable marker for plotting those road trips. We have enjoyed daydreaming about future journeys as well as tracking the trips we’ve taken (we decided to use a permanent marker for this). I wasn’t sure if the peel and stick would actually stick, but it’s done great! I’m curious about how it will hold up if we ever say goodbye to Birdy and have to move the map, but for now, it’s one of my favorite things. Swagman 2-Bike RV Bumper Rack After the great propane fiasco of 2014, we decided it wasn’t a good idea to haul our bicycles inside our trailer. I read good reviews of this Swagman bike rack and decided it was worth a try since the price was very reasonable. The Swagman bike rack mounts to your square bumper. 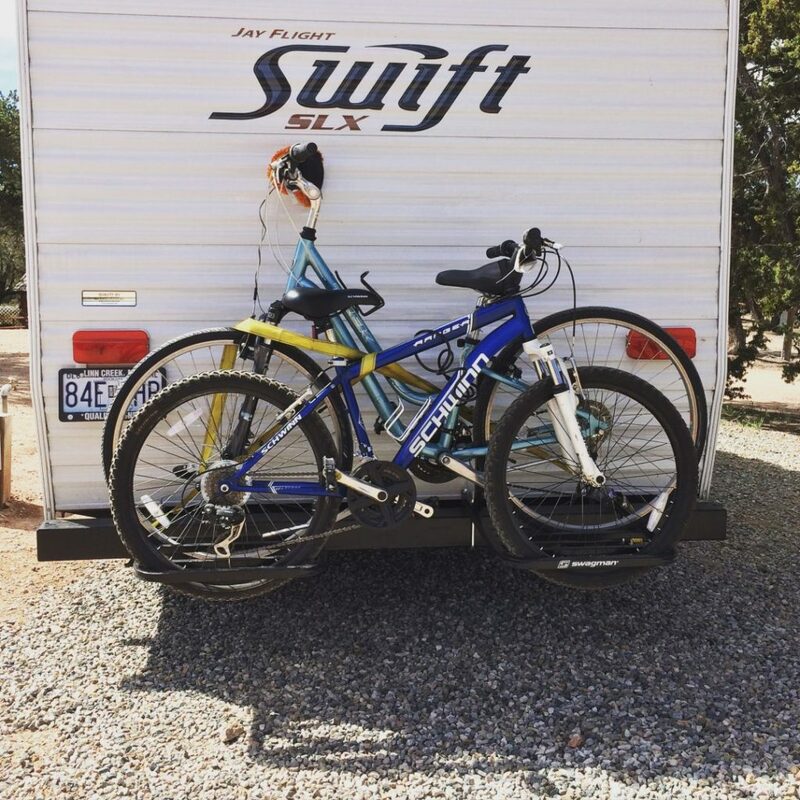 If you’ve read any RV forums, you know that people warn against attaching items to the bumper, since the bikes, bike rack, and bumper may all go flying off the back of the trailer from too much weight. After doing some reading, I discovered that our bumper is supposed to be able to hold 100 pounds, so I weighed the bikes and the rack and decided this would be safe. We did have to remove the spare tire from the bumper, unfortunately (we carry it on top of my husband’s FJ Cruiser). The rack was easy to assemble and held up well, even on our 5000 mile Birdy Goes West trip. You will want to wrap something on the handle bars to keep them from rubbing your trailer, and you’ll need to devise some system for locking the bikes to the rack (we used ratchet straps). I cannot verify the safety of this arrangement, so please use your own judgement to decide whether it would work for you. Bungee Overdoor Towel Rack by Umbra Last summer, I got annoyed by the mess of towels hanging on the back of our bathroom door. 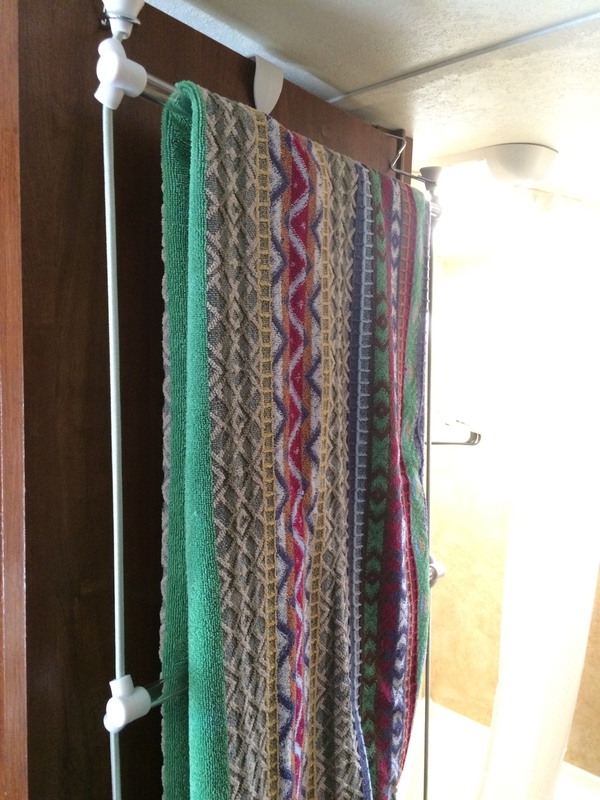 When I saw this towel rack at The Container Store, I decided it would be a great solution. It holds three towels and allows them to fold smoothly against the door. Convenience Concepts Design2Go Casual Monitor Riser We have a teeny tiny trailer with a teeny tiny kitchen, which means I have a teeny tiny amount of counter space in the kitchen. Part of the counter is taken up by the stove, which we rarely used last year. Last year, we ended up piling bread and other foods on the stove, but we worried a bit about accidentally turning on the propane (as mentioned above). I decided I wanted a cover that could cover the stove and the knobs. My husband said we could build a stove cover, and I went with that idea for a bit. Then, I realized that we were not people who were actually going to build anything, so I started shopping for a cover with the right dimensions. I looked at several products specifically designed for RVs, but they seemed overpriced or too flimsy. I could see in my head exactly what I wanted to buy and finally found this computer monitor riser on Amazon, which just happened to be close to the dimensions I needed it. It just barely fits! 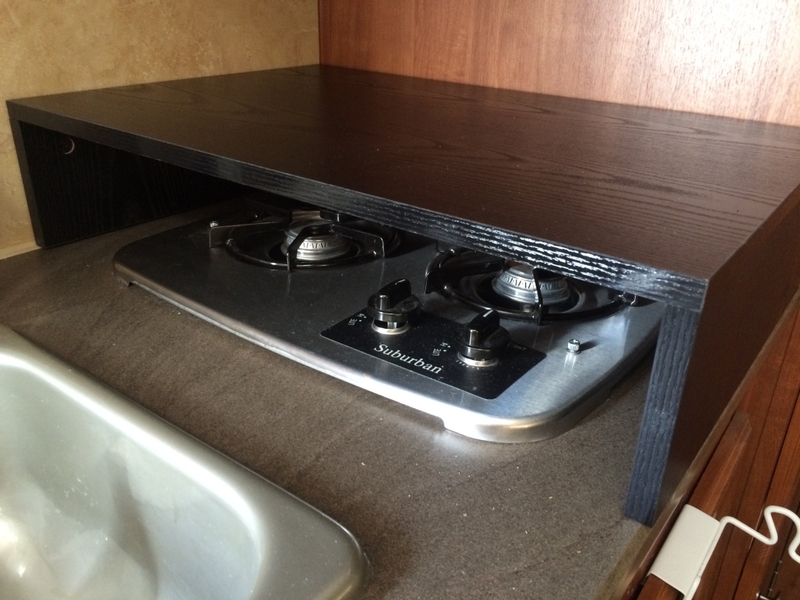 In using this on our last road trip, I found it to really add nice functionality to the space, and it’s easy to move when we need the stovetop. 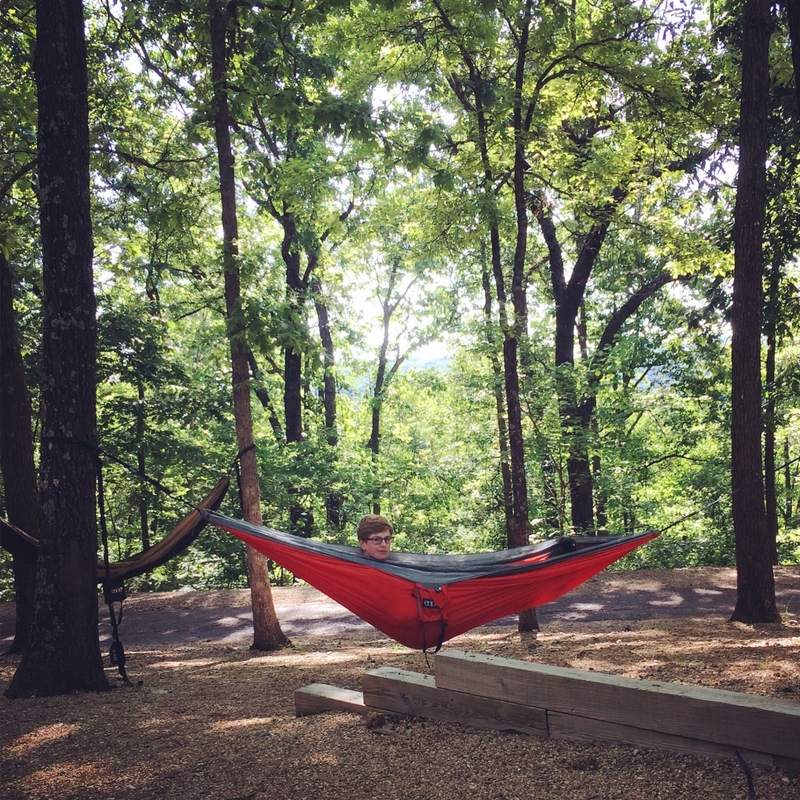 Eagles Nest Outfitters ENO SingleNest Hammock Who wouldn’t love to lie back under the trees and relax in a hammock? I bought my husband an ENO DoubleNest for Christmas a couple of years ago, and now we all want one. My husband and older son even perched their hammocks beside a river and camped in them one night last spring. The DoubleNest is a great size if you plan to camp in your hammock, but a SingleNest is fine for just hanging out. If you purchase one, you’ll want to invest in the tree straps since they make the hanging process quick and easy. Chatbooks After all those travels, it’s important to take pleasure in the memories. I take a lot of photos as we travel. In the past, I made photobooks on Shutterfly. I love their products; however, making a photobook can be a very tedious process for me (I’m a bit of a perfectionist). 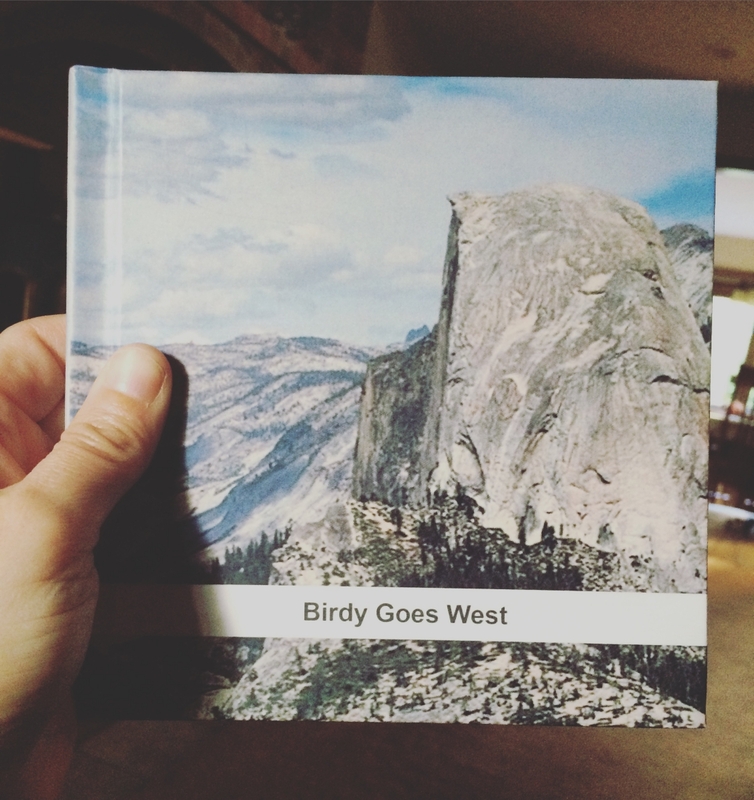 In the past year, I hadn’t found the hours needed to make a book of our Birdy Goes West photos. I saw an ad on Instagram for Chatbooks and was instantly intrigued. To make a Chatbook, you select your Instagram photos, put them in order, and order the product! No tedious labor involved. What’s more, you can even set up Chatbook to automatically print your Instagram roll after a specific number of photos or even set it to print all the photos that used a specified hashtag. Furthermore, you aren’t limited to Instagram photos and can upload photos from other sources. The prices are very reasonable. It took me less than 30 minutes to create our Birdy Goes West book, and I loved the final product when it arrived! Each page had a photo and included the geotag and the caption from the original Instagram post. It was fun to read the thoughts I had shared on our journey. While I hope to someday make a full photobook of our journey, I really love the ease and simplicity of the Chatbook. Note: This post does not contain affiliate links. I’m just sharing these items for the fun of it. Hope you find something useful! 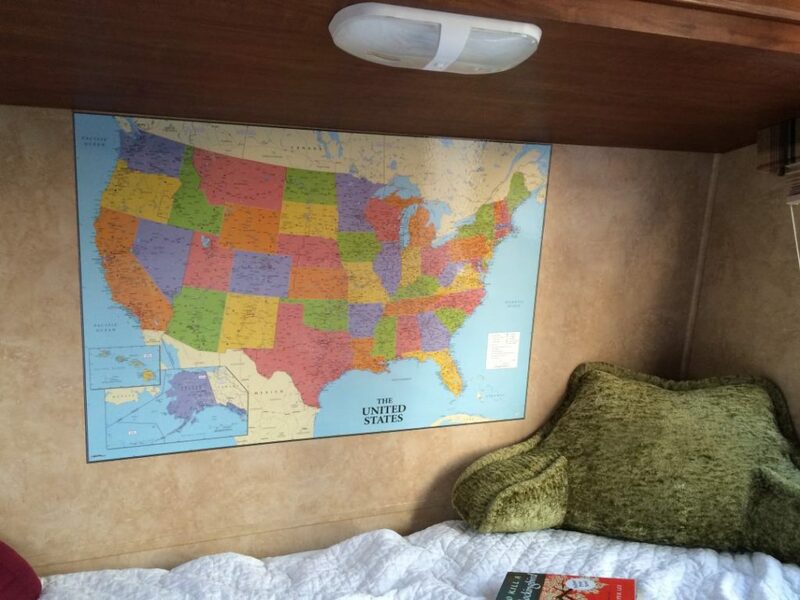 Posted in: Our RV (Birdy), Product Reviews. Tags: product reviews. With such small spaces, all of those little things really make a difference in making it feel functional. For bikes, I think some people weld a hitch to the frame of the trailer. I’ve also seen some nifty racks that pop bikes up above the propane tanks. I’m just curious about whether they affect your turning radius. Bikes are kind of a pain! We think we may not take them on our next road trip. I think we need a toy hauler! I love your big map :). And that’s good to know about the chatbooks….I’ve wondered if there was anything like that that would keep the captions from Instagram! Thanks, Gretchen! The Chatbooks idea is making me really think about composing those captions for this summer’s trip to ensure each one helps tell the story of our journey. These don’t replace the real photo books, but they are a fun way to save those Instagram posts. I love that stove cover! What a great way to turn that space into something totally usable and it just looks great. I am going to have to check into those Chatbooks, thanks for the tips! I was pretty pleased with myself for hunting down just what I needed. I could see it in my head, but couldn’t figured out what to call it online since “shelf” brought up too many things. It works out great! I’ve got to take a picture to show you the stove cover my hubby created for our camper. Lucky me, he is a handy guy! Our next trip is Memorial Day weekend. Awesome! We are not so handy! Is love to see a picture. Have a great trip! Having that extra counterspace is so nice! My father is pretty crafty and built a stove cover to better fit my space. As far as the bike rack, I had no idea camper bumpers were so limited on weight. Thanks for the heads up!